We have a strong tradition of service to people and communities in the Pacific Northwest. Our continuing education courses, clinic-based health services, workplace consultations and lab analysis services connect workers, employers and companies with our expertise in occupational medicine, environmental health, toxicology and industrial hygiene and safety. These services also provide real-world training opportunities for our students. 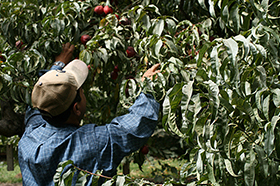 DEOHS works to improve job safety among Washington farmworkers. Photo by Stacey Holland. We offer continuing and professional education as well as health and safety training for thousands of working professionals across the Pacific Northwest through our nationally recognized training center. Our Occupational and Environmental Medicine Clinic, located at Harborview Medical Center in Seattle, specializes in diagnosing, treating and preventing work-related injuries and illnesses. The clinic also includes the Center for Chemically Related Illness, the Healthy Animal Worker Clinic and the Center for Occupational Health Education. The multidisciplinary staff includes specialists in occupational medicine, internal medicine, neurology, pulmonary medicine, pediatrics, industrial hygiene, toxicology, epidemiology and public health. 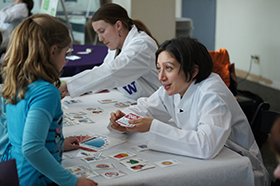 Through teaching, research and service, we promote healthy communities. Photo by Jon Sharpe. Our Field Research and Consultation Group provides companies with on-site occupational health and safety consultations, with priority given to small businesses whose safety concerns are not readily addressed by the private sector. We observe work practices, collect samples and data, obtain laboratory analyses and make recommendations to control workplace exposures. Our Environmental Health Lab identifies exposure hazards in chemical and industrial processes for employers, labor groups, researchers and government clients. 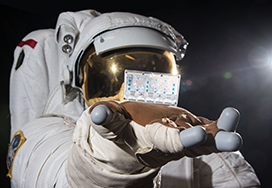 For example, we analyze breathing air samples for Washington fire departments, commercial divers and marine researchers, and we identify hazardous compounds in soil, air and water samples. The laboratory has been accredited by the American Industrial Hygiene Association since 1977.